After using Photoshop for a length of time, one begins to quickly learn which images have a narrow color range. My muse, Valley Of Fire, with its abundance of orange sandstone, is the first place I thought of when seeing this week’s challenge title. Many of my images taken there, especially the detail shots, have one or two color values that can be altered with post-processing, and doing so only renders strange results. 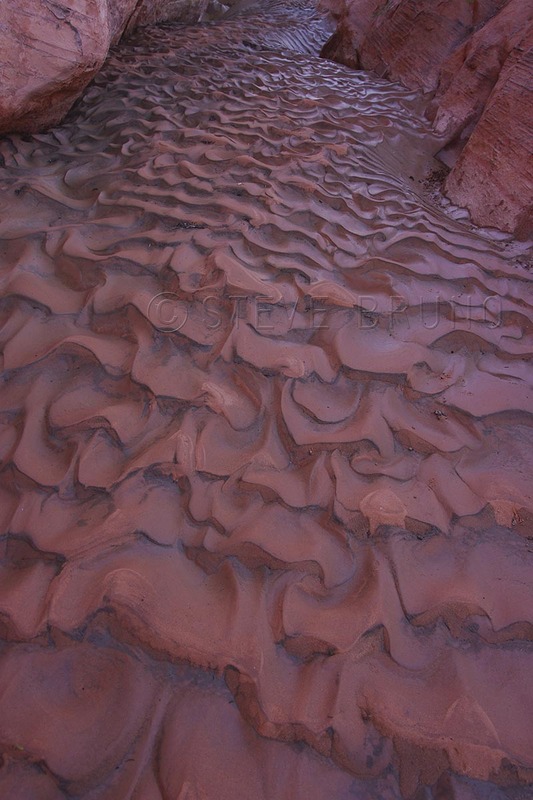 The image above was taken in Valley Of Fire, in a wash that had been flooded, and now left to bake under the sun. In comparison, the wash below had been under a recent heavy flood. There’s quicksand under there, and fortunately, I didn’t have to find out where, as there was a way to get around this. Patterns in a wash after heavy rains came through. Quicksand lies underneath, but under which part? Valley of Fire, Nevada photo by Steve Bruno. Another spot in Valley Of Fire, where water was working over a much longer period of time, was this skylight worn into the upper part of a small cave. 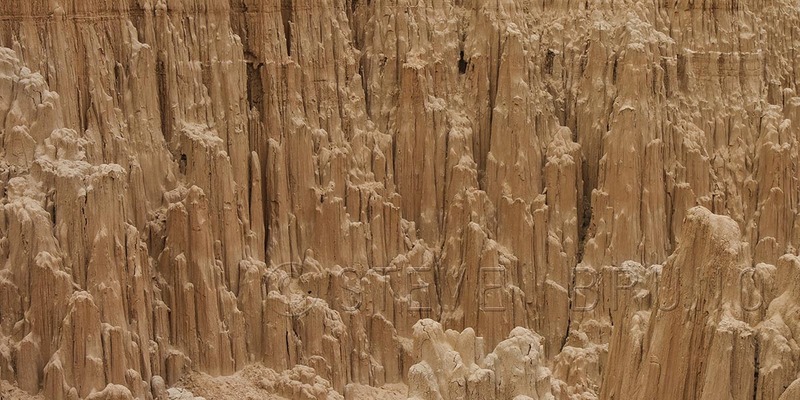 About a hundred miles away, in another of Nevada’s State Parks, Cathedral Gorge, there is a monochromatic setting of a different kind. It looks like mud, but is mostly bentonite clay, a by-product of once being under a lake. Textures in eroded clay and sand in Cathedral Gorge State Park, Nevada. Photo by Steve Bruno. We don’t receive much of a winter here in the desert, but places where winter lingers can become monochromatic and sometimes dreary. 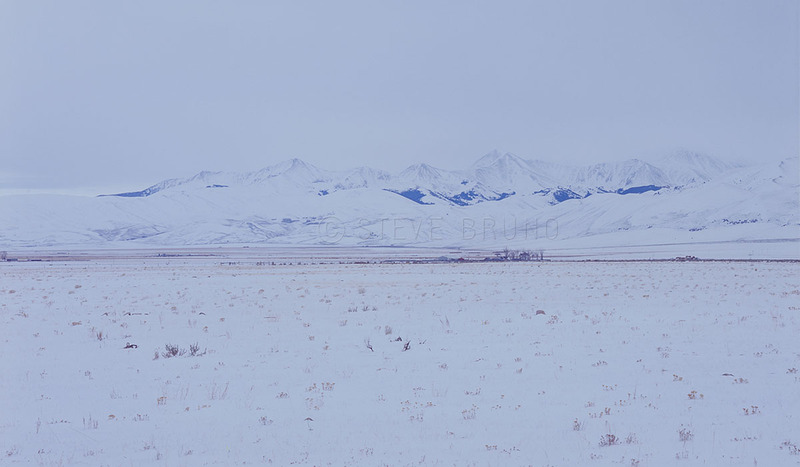 Montana is no stranger to a long winter, and there’s a subtle beauty to a land covered in white under overcast skies. 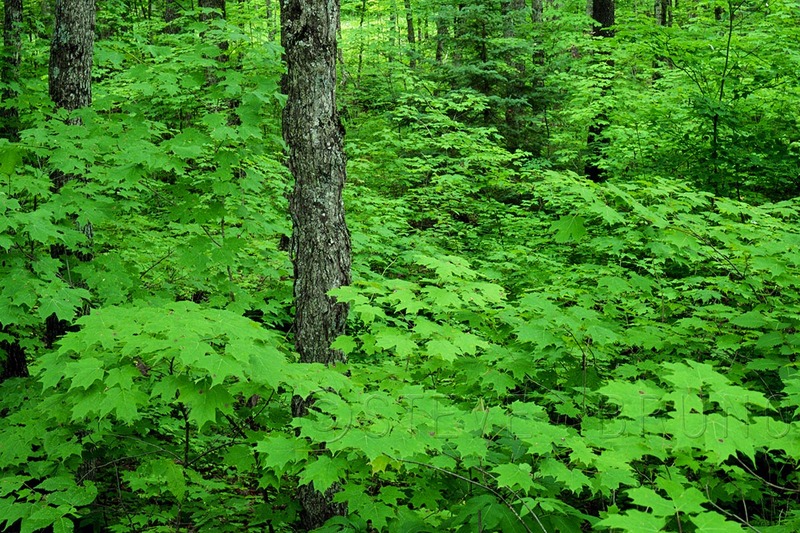 Michigan is also accustomed to winter, yet exchanges that coat of white for a vibrant green in the middle of summer. 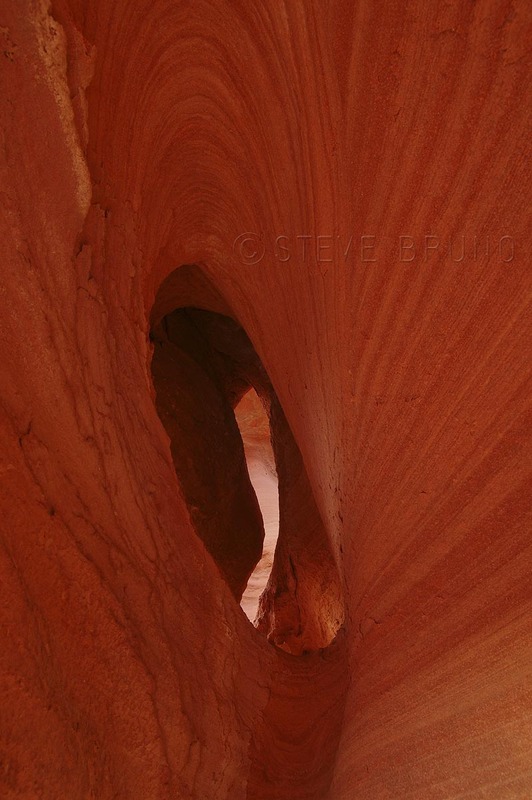 Cool shot at the Valley of Fire–love that place for photos. Thank you, and, yes, an amazing place for photos!